On December 9, 2016 the MSBA Publications Committee presented the Elmer H. Wiblishauser Author’s Award to Wood R. Foster, Jr. (Of Counsel), Siegel Brill, PA. This annual award is given to the author of the best work to appear in Bench & Bar of Minnesota during the previous year. Foster’s series of articles “A Profession on Edge” appeared in the May/June 2016 edition of Bench & Bar and actually comprised almost the entire issue. The series of articles tracks the remarkably rapid changes in the legal profession since the year 2000. It begins by exploring the rapid reduction in the growth rate of the profession in contrast to the startling (and increasing) over-production of new JDs by the nation’s 200+ law schools. Each year, many thousands of new lawyers are unable to find employment at all, and a troublingly large percentage are unable even to pass a bar examination. To read the award-winning series of articles click here. The award-winning series of articles “A Profession on Edge” from the May/June 2016 edition of Bench & Bar has recently been published as an MSBA eBook as well, available free to MSBA members at www.mnbar.org. 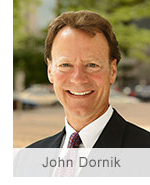 John Dornik Named as Minnesota Lawyer Attorney of the Year. John Dornik was recently selected as one of Minnesota Lawyer’s Attorneys of the Year for 2016. This is the 17th year that this award has been given to celebrate accomplished attorneys from around Minnesota. An outside panel of judges selected 13 individual attorneys and a total of 30 honorees based on the following criteria: leadership in the profession, involvement in major cases and other newsworthy events, excellence in corporate or transactional services, and public service. The nominations were submitted by judges, bar groups, clients, and attorneys. This is the second time John has been named a Minnesota Lawyer Attorney of the Year. 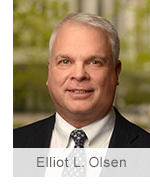 Elliot Olsen has recently joined Siegel Brill, PA as a shareholder. 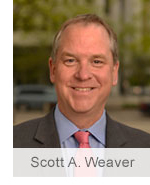 Elliot is a Fellow in the American Board of Trial Advocates, selected by his peers as a leading trial attorney. He is also a Certified Civil Trial Specialist, certified by the Minnesota State Bar Association, and one of very few lawyers in the country who has had jury trials in catastrophic injury cases in the context of both foodborne illness and medical malpractice. A veteran of more than 50 jury trials, Elliot particularly enjoys the process of selecting a jury and is comfortable with the unscripted conversations needed to find the best jurors for his case. He also very much enjoys the opportunity to present his clients’ cases with compelling stories and zealous advocacy. Elliot specializes in these practice areas: foodborne illness, Legionnaires’ disease, petting zoo infection/illness, medical malpractice, wrongful death (medical malpractice), motor vehicle accidents, wrongful death (motor vehicle accident), and product liability. He has secured large recoveries for clients in foodborne illness, Legionnaires’ disease, medical malpractice, product liability and motor vehicle accidents. Elliot grew up in southwest Minneapolis, where he continues to live to this day. His wife is Lea B. Olsen, a sports broadcaster here in the Twin Cities. His two high school aged children have followed in his footsteps at his alma mater, Southwest High School. It has been two years since the world of bank regulatory acronyms welcomed HVCRE (the unpronounceable acronym for High Volatility Commercial Real Estate) as its newest entrant. Despite countless articles and pronouncements from regulators, trade associations and professionals, we still receive regular questions from bankers and borrowers on HVCRE. Basel III requires additional capital to be allocated to loans that, prior to conversion to permanent financing, finance the acquisition, development or construction of real property unless (of course, there’s an exception- it’s a bank regulation) the loan is exempt. The most common exemption that most banks encounter is the exemption that leads to the most questions: A loan will not be an HVCRE loan if: (i) the loan-to-value is less than or equal to the maximum loan-to-value for the applicable property type in the Interagency Guidelines for Real Estate Lending; (ii) the borrower has contributed at least 15% of the “as completed” value of the property in cash or unencumbered readily marketable assets prior to the first construction advance; and (iii) the capital contributed to and generated by the project is contractually required to remain in the project for the duration of the project life. The maximum loan-to-value is based on the Interagency Guidelines, not a bank’s loan policy. Some banks have policy limits for LTVs that are lower than Interagency Guidelines. Loans that exceed policy limits but do not exceed the Interagency Guidelines still qualify for the exemption. - The borrower’s capital contribution must be made prior to the first advance and should be included as a condition precedent to any advance by the lender. Regulatory guidance is clear and unforgiving on this point. There is no cure because once an HVCRE, always an HVCRE. - The loan agreement should also assure that capital contributed to, and generated by, the project remains in the project. In addition, the loan agreement must prohibit the borrower from having the ability to withdraw either the capital contribution or the capital generated internally by the project prior to obtaining permanent financing, selling the project, or paying the loan in full. Again, there is no cure or “do over” if omitted from the loan agreement. What constitutes contributed capital raises many questions. - The value of unencumbered real estate, even if not related to the project, can’t be pledged as part of the loan and count toward contributed capital. - Somewhat surprisingly, soft costs that contribute to the completion and value of the project may count toward contributed capital. Some banks may limit or restrict soft costs paid to related parties from an underwriting standpoint but those costs will count toward contributed capital for HVCRE purposes, provided that they are reasonable in comparison to the cost of similar services from third parties. - Cash used to buy land contributed to a project will count as contributed capital. Any appreciation in the value of the land, however, will not be considered to be contributed capital. Like most new regulations, experience and additional regulatory guidance will clear up many questions. Until that time, if a bank is unclear on the HVCRE status of a loan, discuss the question with your attorney or compliance expert.